You have the door, don’t forget the opener! Just like our Overhead garage doors, there is an array of choices when it comes to residential door openers and controls. 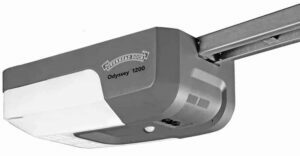 We provide powerful, quiet and durable automatic garage door openers that deliver performance and reliability. Each opener features a variety of power levels and specifications to handle your different garage door weights and sizes. At Overhead Door we will help you select the right opener for your door and situation, whether it is for new construction, retrofitting an existing application, or any other unusual or special requirement you might need. Not sure where to start? Save time and let us do the work for you by giving us a call at (651) 683-0307. With a few simple questions, one of our experienced Door Specialists will be able to select the right opener for your home. 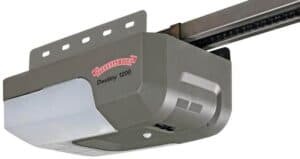 On the other hand, if you know exactly what you are looking for in an industrial door opener, you can review opener specifications at Overhead Door’s Company website. Whether you are programming one garage door opener, or three, we have the steps you need listed right here. To keep your garage door system operating at peak performance, we suggest routine system maintenance and other professional services. Need a New Garage Door? We run our business to be so responsive that we have a spare truck, ensuring our crews will never be delayed by truck service. No one else we know does that. We make it our goal to service customers completely and fully, with customer service being at the top of our priorities. Learn more about the original commercial garage door company in Minneapolis/St. Paul.